Have you ever considered a storytelling approach to your strategy meetings? Better yet, will your board be open to a facilitated session where they are able to share their own stories about how their path led them to your organization, why they joined the board, why they stay, they’re personal challenges, and individually what they see on the horizon? A story takes us from where we are to where we want to go. And it does that with clarity and meaning. Stories weave facts and emotions, tangibles and invisibles — what can be proven and empirical truths that are beyond measure — into a layered whole that we, as human beings can understand. Our stories reveal how we are more alike than different through the joys, fears, frustrations and hopes we all share. Only then can we connect with each other in every aspect of being human and do the work that matters to deliver on our mission. Before strategic planning, should come storytelling. It is the marinade that prepares us for open dialog and true collaboration. 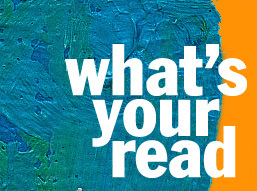 Join us on March 7, 2013 for What’s Your Read, Barkada Circle’s Storytelling Jam Session.